Movie Poster of Roy Rogers in "Pals of the Golden West"
This is an 'original rare' Roy Rogers Movie Poster, "Pals of the Golden West." Beautifully framed by a Montana Artist. 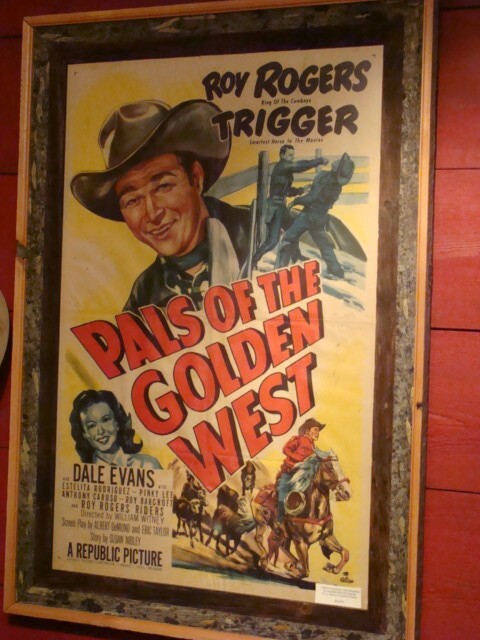 This is an 'original rare' Roy Rogers Movie Poster, "Pals of the Golden West." Beautifully framed by a Montana Artist. Please email cowboycabin@centurytel.net with questions or call 406 270-2842.